WeldFit’s hot tap tees have been used successfully in thousands of hot tapping operations around the world. Consisting of a full-encirclement fitting and a weld-neck flange, our hot tap tees are designed and manufactured to ensure the integrity of the piping system. WeldFit’s full-encirclement fittings feature extruded outlets for branch sizes up to 48″ NPS and fabricated branches for larger sizes. There are several advantages to using extruded outlet fittings; including the ability to design reinforcement into the nozzle and the elimination of the weld between the header and the branch, which is difficult to radiographically inspect. 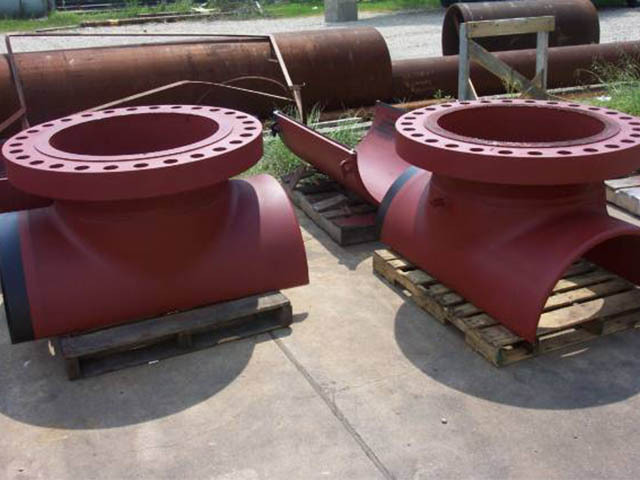 Typically the mating flange is ASME Class 150, 300, or 600; although, other pressure classes and flange styles are available. WeldFit’s standard hot tap tees are designed to meet the requirements of ASME B31.3 and B31.4/8 with a 0.72 design factor. 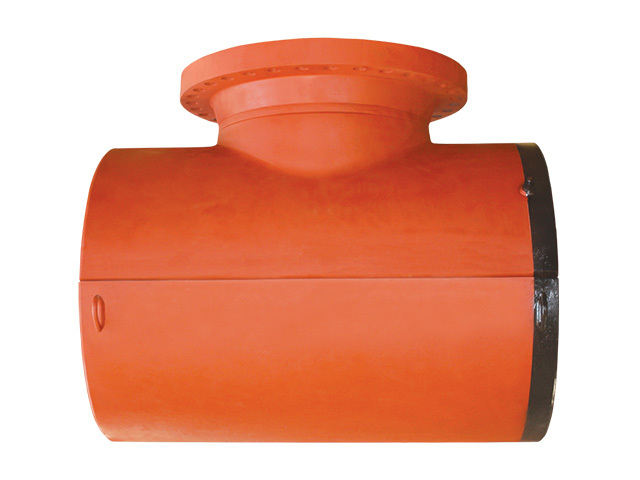 The standard tee material is A234 Grade WPB or WPC with A105 flanges. 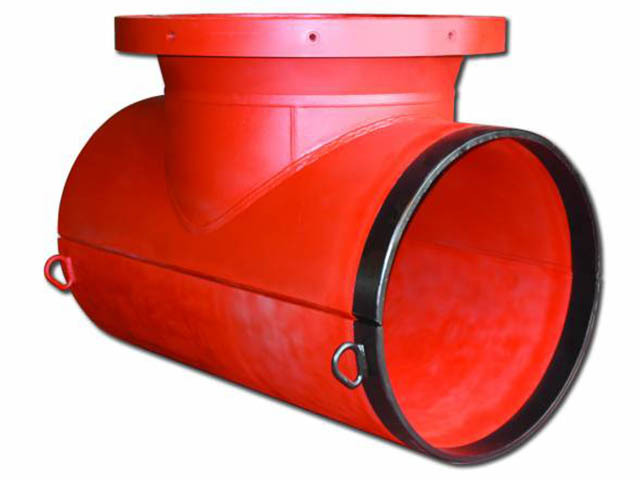 Other tee and flange materials are available to match customer requirements and existing pipeline materials. All of WeldFit’s hot tap tees are manufactured in accordance with our ISO 9001:2015 quality program and are compatible with major models of hot tapping equipment. In compliance with most pipeline design codes, all pressure containing welds are 100% radiographed.